All material, when hot, will emit light. Everyday examples abound: the stove element in the kitchen, the metal filament in a lightbulb, and even the Sun. By the end of the 1800’s, scientists were observing this phenomenon in their laboratories but could not explain it. Despite this lack of understanding, they nonetheless knew how to separate the light emitted by a gas into a spectrum that was diagnostic of the chemical elements contained in the gas. In 1859, the German physicist Gustav Robert Kirchhoff called this type of spectrum an “emission spectrum”. Many researchers attempted to explain how matter could generate an emission spectrum but without success. It was only in 1900 that the German physicist Max Planck would provide part of the answer. Planck noted that it was impossible to solve the problem using existing principles of physics and proceeded to develop a revolutionary theory that marked nothing less than the beginning of modern physics. 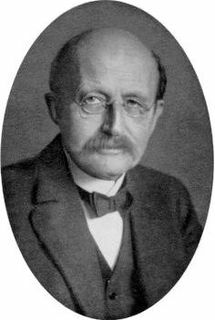 In his theory, Planck maintained that light could only be emitted as small packets of energy that he named “quanta” (later known as “photons”). This proposal ran contrary to all contemporary knowledge about light at that time. In fact, light was considered to be a continuous form of energy that propagated as an electromagnetic wave and not – as Planck proposed – as a form of discontinous energy in the form of particles, like photons. 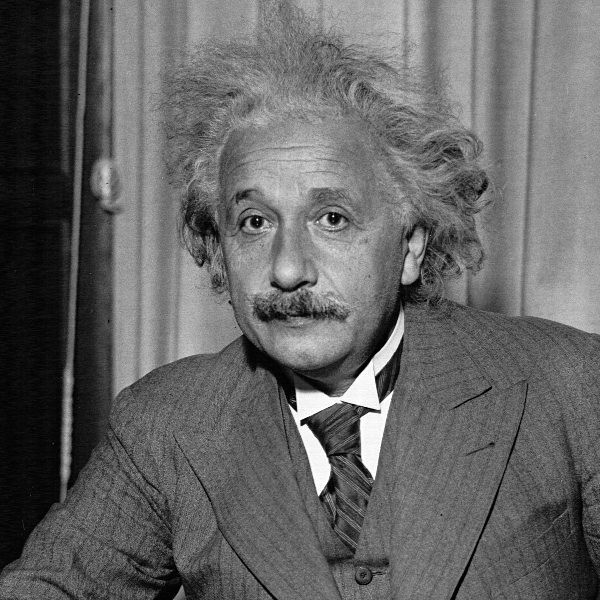 The debate finally came to a head – and to a resolution – when the German physicist Albert Einstein entered the scene in 1905. Einstein not only supported Planck’s idea, he went one step further: he proposed that light behaved as a particle (a photon) but also retained its wave character and must therefore be considered as both a particle and a wave. Furthermore, Einstein established that the energy of a photon is related to the wavelength of the radiation. He concluded that waves with long wavelengths, like red light, transport small amounts of energy, whereas those with short wavelengths, like violet light, transport more energy. 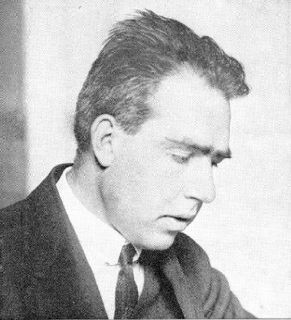 In 1913, the Danish physicist Niels Henrik David Bohr integrated the advances of Planck and Einstein into his new model of the atom to explain how matter could emit light in the form of particles. According to Bohr, the atom consists of negatively charged electrons that orbit around a positively charged nucleus. The model further specified that electrons orbit the nucleus at well defined distances from the nucleus. An electron orbiting near the nucleus has relatively little energy because it is held in its orbital by the strong attractive force exerted by the nucleus. Energy must be added to this electron for it to “jump” to a higher orbital, and the further away it jumps, the more energy it would need. An electron in a starting position that is farther from the nucleus already has more energy because it must compensate for the great distance that separates it from the nucleus. Less energy would thus be needed to make this electron jump to a higher level compared to an electron that started closer to the nucleus. According to Bohr, when a material is heated, some of the electrons in orbitals near the nucleus will absorb enough energy to allow them to jump to new orbital levels at great distance from the nucleus. The electrons, however, will eventually return to their original orbitals; when they do so, they must release enough energy so that their energy content again matches the energy level of the original orbital. Bohr proposed that the electron will rid itself of its excess energy in the form of little “energy packets” (now known as photons) like those described by Planck and Einstein. In other words, the electron gives off light. Given the basic principle that the atomic nucleus of each chemical element has a positive charge different from that of any other element, its electron orbitals must also have distinctive energy contents since the electrons must balance the charge of the nucleus. The energy given off by an electron when dropping from a distant orbital to a closer orbital will thus be a photon with a characterisitc amount of energy and a corresponding wavelength in the emission spectrum. If the atoms of a given element have a combination of possible orbital jumps that is different from the combinations possible for the atoms of other elements, then every element will display its own unique emission spectrum. The following diagram shows the emission spectra for various elements. Notice how the emission lines are diagnostic, much like a bar code or a fingerprint.